You are good enough for Challenge Anneka. You have earned your medal, and we ask our supporters to give joyfully to Good Counsel Network! Mr. Murphy ran 40km in 6 hours. Please donate generously. Due to very successful Internet advertising campaign, The Women’s Counselling Network has been receiving many more requests for help from abortion seeking young mothers. This has meant we are hugely stretched in our centres around the country but especially in Dublin. We need volunteers to train for various jobs in our Dublin centre URGENTLY! We also need volunteers in Kerry as at the moment we have none in that county. Training will be provided by our Limerick counsellor. The work is d9ne in dependence on Mary, our mother. Contact us to find out how you could help, no strings attached. Text 087 6505 670 or phone 087 758 6350. Our Lady of Good Counsel has been a great source of help for countless women face crisis pregnancy. With her heavenly help, many women have been spared the trauma of going through with an abortion. Good Counsel Network are delighted to report numerous interventions where women have considered an abortion. We’d like to thank our prayerful supporters, who have requested Our Lady’s intercession. We are equally thankful for the financial support given to our ministry over the years. May God Bless you for your willingness to give help. Please encourage others to support via prayers, finance, or simply liking our Facebook page, or our other social media accounts. 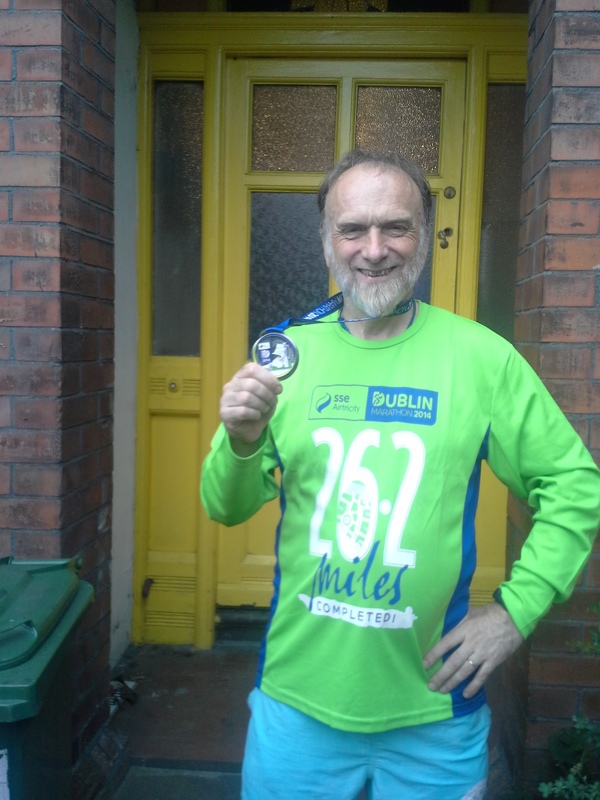 Thanks Again, from Good Counsel Network Ireland. 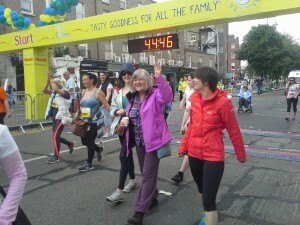 Flora Women’s Mini Marathon is the largest women event in the world and the largest charity event in Ireland. On 2nd of June 2014, Monday Bank Holiday, Agatha, Elaine and Alicja took part in fundraising initiative for Good Counsel Network. We would like to thank all our Supporters for the continued donations which enables us to promote healthy life choices for women facing crisis pregnancy. We have numerous calls from women as a result of our recent Internet advertisisng initiatives. This development is prooving crucial to the effectiveness of our mission. Please consider, if you haven’t done so already, donating to Good Counsel Network. Your support can and does help save lives of babies and protects women’s health. Occassionally the Good Counsel Network team will be keen to plug something very positive on their blog posting page. This week we found an interesting article written by Life Site News. The article was a response to claims by Naral, an American Pro Choice group that Google are banning pro life crisis pregnancy adverts. According to a source on Life Site News, this is not the case. What actually happened, seems to be that Naral submitted a advert complaint against a pro life pregnancy centre and this particular advert was pulled. This does not mean that all pro life crisis pregnancy ads are now banned. 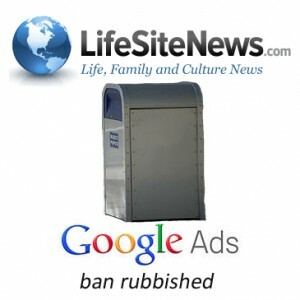 Life Site news reported that pro life pregnancy centres in America have not been inconvenienced at all since the allegation about the Google pro life advert bans were announced. This is great news for Good Counsel Network Ireland who plan to run their own pro life crisis pregnancy adverts in the near future. This will help women in crisis pregnancy situations who do not want to go down the abortion route. This is great news for Ireland, and the world. Praise God for the Life Site news reporting. Search engines have revolutionised the way people interact with the world, and having an online presence definitely helps save babies. Google adwords afords Catholic pro life ministries to reach out to women in a most effective way. Any Catholic organization can get involved with online marketing. In the words of St. Pope John Paul II, “Be not afraid”. If you are not sure how to get your online marketing campaign up & running, simply call Google adwords on their contact number. Their adwords advisors are friendly and will explain everything to you & for free. The gratis offer may come to an end one day, so strike while the iron is hot. Abortion demands – The media are at it again? Today’s reporting about Catholics asserting their right to self determination on Church doctrines may make for some interesting debates. One newspaper reports, “we back abortion, female priests and birth control”. Reporting like this have gone around the world like Martin Luther nailing reform demands on church doors. We’ll leave the issue of female priests aside, as Pope John Paul II (post vatican II) sufficiently addressed that question. As for abortion demands & birth control, they are closely related. One does wonder who these newspaper journalists think they are kidding? Only last summer, over 60,000 Catholics marched in Dublin demanding the Irish government to keep their pro-life promises. Good Counsel volunteers witnessed this, which is contrary to reported abortion demands! To be fair to journalists, they are only reporting on the results of a world wide Vatican survey. The Church in Rome fielded questions to parishes everywhere come late winter last year. This is in preparation of a synod to be held in late autumn of this year 2014. The synod will be discussing the family in light of the survey findings. But if jounalists can report on Vatican surveys, why can’t they be more balanced. Focusing solely on abortion demands & female priesthood is a bit narrow minded. Broadening journalism to include other views would give newspapers a bit more credibility. It is true that there is dissension within the Catholic church. There are priests within the Catholic fold who are opposed to Rome. 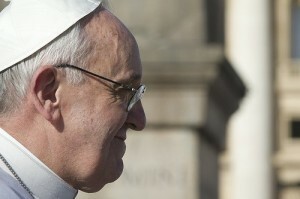 These influential men believe that the church needs reform, and some row in with abortion demands. The parish flock suffer from these misguided pastors in the most subtle of ways. Church dissenters are probably far more savvy than the orthodox Catholic faithful. So Good Counsel Network Ireland believe that the Vatican surveys don’t truly reflect what today’s Catholics believe. These surveys merely point out that many Catholics have not been given sufficient Catechesis.